Dr. Batten was born and raised in St. John’s, NL. He graduated from Prince of Wales Collegiate and continued on to Dalhousie University, completing his Doctorate of Dentistry in 1993. He moved back to St. John’s and practiced at a local dental clinic for the next 7 years. In 2000, Dr. Batten along with Dr. Paul Lutz opened Cowan Heights Dental Centre. Dr. Batten is a strong advocate for continuing education. He feels it is the only way to enable him the ability to offer patients the most up-to-date dentistry while providing the highest quality of care. He has completed the Core 1-7 neuromuscular program at the Las Vegas Global Institute, advanced training in CEREC CAD/CAM dentistry and implantology. He utilizes the most current technological equipment, such as chair side ceramics by CEREC, digital impression, noise reducing electric hand pieces and digital x-ray and photos to name a few. 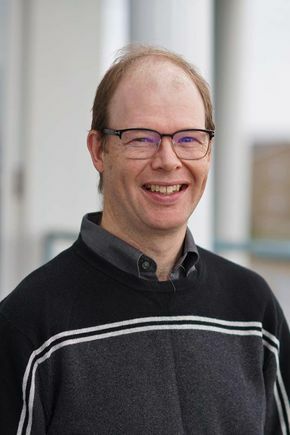 Dr. Batten is past president of the Newfoundland and Labrador Dental Association and during that time was a strong supporter of early childhood and parent education as key to prevention of future dental disease. He is also a member of the NLDA, CDA. His philosophy has always been to offer the best treatment in the most efficient and pain free manner possible. Dr. Batten and his wife Jackie still live in St. John’s, and when he's not practicing dentistry, you can find them at their cabin or in hockey rinks near and far supporting their two boys. 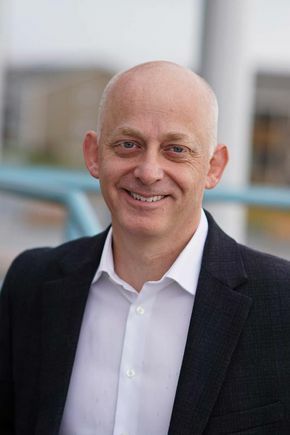 Dr. Paul Lutz was born in Carbonear and raised in St. John’s, Newfoundland. Dr. Lutz graduated from Gonzaga High School and went on to Memorial University where he completed his Bachelor of Science degree in 1986. He continued his education at Dalhousie University completing his Doctorate in Dentistry in 1990. Upon graduating he moved to Ontario, practicing dentistry for two years, but was drawn back to Newfoundland in 1992. 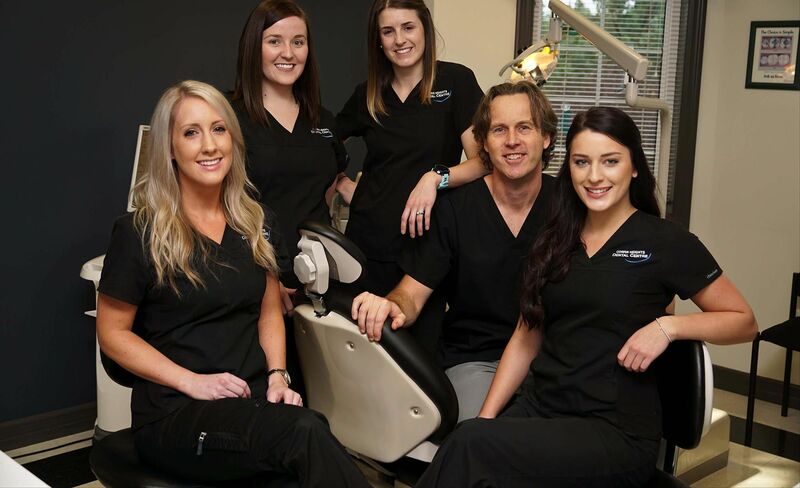 Dr. Lutz associated at a local dental practice in St. John’s for 8 years and in 2000 Dr. Lutz partnered with Dr. Derrick Batten to found Cowan Heights Dental Centre. In an effort to provide the best possible results, Dr. Lutz has totally embraced CEREC CAD/CAM technology. Many of the dental restorations he places are manufactured using this system. He has many hours of continuing education training in CEREC dentistry and implantology. He has a very caring and compassionate approach to practicing dentistry, and it is that same approach that makes him a favourite amongst his patients. When not at work, you can find Dr. Lutz with his wife Dwanda running and biking around Newfoundland and travelling to New York and Vancouver to visit their daughters. 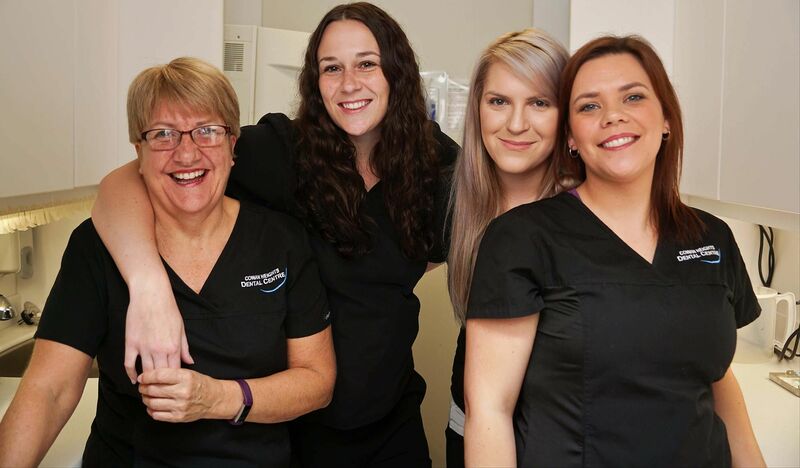 Dr. Lutz is a member of the Newfoundland and Labrador Dental Association and the Canadian Dental Association. Dr. King grew up in the West End of St. John’s where he graduated from Beaconsfield High. He attended Memorial University completing a Bachelor of Science degree in biochemistry in 2002. He continued on to Dalhousie University graduating with his Doctorate of Dentistry in 2006. He moved back to St. John’s and became an associate at Cowan Heights Dental Centre and in August 2006 he became a partner of the Practice with Dr. Derrick Batten and Dr. Paul Lutz. Dr. King feels strongly that the key to running his practice in the most effective and efficient manner possible is to always keep learning about the new advances and technologies in dentistry. In the last number of years, Dr. King has furthered his education taking advanced training in CEREC CAD/CAM dentistry, periodontal surgery, implantology and completing the Core1-7 courses at the Las Vegas Global Institute. Dr. King’s kind and generous nature is easily noticed by patients and staff alike, he is always there to provide comfort and care to his patients and a helping hand to his team. In his spare time, Dr. King enjoys playing hockey and spending time with his family at his cottage, but most days you’ll find him chasing around his young daughter and son. Family is the true joy of his life! June, Linda, Petula and Karen have all worked together in one capacity or another for 20+ years. Together they have 99 years of dental experience. It is their knowledge and dedication that make them such a huge asset to our practice. Linda and Karen anchor our front desk on either side. June or Desiree (our newest addition) balance out the middle, and, not to be missed, tucked neatly to the side is Petula. They love to cheer on each other and the Toronto Maple leafs, except Desiree—her team is Colorado. There’s always one! June, or as we like to call her, June Bug, has been with Dr. King since he started working at Cowan Heights Dental in July 2006. June graduated from Newfoundland Career Academy with her dental assisting certificate, but enjoyed the administrative aspects of dentistry so she made herself a home at the front desk. In 2015, June had the good fortune to travel to Las Vegas Institute where Dr. King did a full mouth reconstruction for her. She always had a beautiful smile, but now she just shines. Those that know June will recognize her wonderful sense of humor and how she loves to joke with our staff and patient family. When not at work, June enjoys spending time with her husband Brian and their grandchildren Faith and Paisley. Linda has been with Dr. Batten for 21 years! You can always find Linda sitting in her same spot since we opened our practice in 2000. Her loyalty and dedication to Dr. Batten is wonderful, she enjoys her job and delights in helping patients and co-workers alike. She revels in a good story, can tell a good story and has a great laugh! When not at work she values her time with her husband Terry and her huge circle of family and friends. Petula has worked with us in one capacity or another for 25 years! She graduated from Newfoundland Career Academy with her dental assistant diploma and started working with Dr. Lutz shortly afterward. She worked by his side for 10 years before becoming our indispensable Hygiene Coordinator! Petula has the joy of speaking with all of our patients usually twice a year to book them for their regular hygiene appointments. She really enjoys her job and it is easy to tell; Petula will do what she can to assist our team and patient family in any way possible. When not working, Petula loves spending time with her husband Joe, their children, but most especially her 2 granddaughters Clara and Braeanne. Desiree, our most recent hire, has been with us since July 2017. She graduated from Keyin Tech College in 2013 with her dental assistant certificate, and she brings with her a wonderful work ethic and a joy of dentistry. Happiness and ease are two of her many wonderful qualities. Desiree’s goal is to always make patients feel welcome and comfortable. When not taking care of patients here at the office you can find her singing with Carolann and Sheena, and her days off are spent in her new home with her fiancé Christopher and her beautiful little girl Norah. Karen graduated from Cabot Institute and started working with Dr. Lutz shortly after. She and Dr. Lutz have worked together for over 25 years! They have seen each other get married, have children, watched them grow, graduate and move on to the next journey of their lives, but they have remained steadfast with each other. Karen does her best to assist patients anyway she can and keeps Dr. Lutz’s practice humming along. If you listen really closely, you can usually hear that humming. Karen was able this year to experience her number one bucket list adventure: going to visit Graceland in Memphis, Tennessee. Her true joy in life is her husband Joey, their two beautiful children, their family, music and friends. found her new talent – decorating! Vanessa was hired for a maternity leave in 2012 and we loved her so much we built a new room to keep her! She loves her job and it’s easy to tell, as her quiet sense of humour and kindness makes her a favorite with staff and patients alike. Vanessa graduated from Dalhousie University in 2010 and lived in Alberta before deciding to move back home. When not at work, Vanessa loves spending time with her husband Shawn and her little man Nathan. Nathan will welcome a new baby brother in the spring! Nikki joined our team in 2014 when her fill-in position turned into a full time job. We are lucky to have her. Nikki never keeps her patients waiting and is always the first to get going—she has energy and then some. When not with patients, she can be found always planning her next adventure or dancing. Nikki graduated from Dalhousie University in 2013 and lived away for a year before returning home. When not educating patients about their oral health, Nikki can be found running and swimming, but most recently she loves spending time with her new husband Eddie and new baby Olivia. Michael has been with our team since February 2008. He has a wonderful personality, his enthusiasm for his profession and care for his patients shows through his true dedication. His patients love him and it’s easy to see why. Michael graduated from Dalhousie University in 2006 and moved to Newfoundland with his wife Lisa. They have 3 beautiful children and in his spare time he manages Synchro Newfoundland and supports his children in their very busy swimming pursuits. Katherine joined our wonderful group in August 2015, just a few months after graduating from Dalhousie University. Katherine is a lovely, gentle soul and has a wonderful ability to make her patients feel at ease. She values healthy living and eating and dedicates a great deal of her time to that pursuit. In her spare time, Katherine loves working out and spending time with her boyfriend Johnny in their first new home. Cheryl has been with our practice in one capacity or another for 21 years. She started as Dr. Batten’s assistant and a few years ago became our float assistant. You can always find her running around helping in any way she can. Cheryl always has a smile and she’s always humming a tune. She is a great asset to our team, and we’d be lost without her. When not at work, Cheryl loves spending time with her grandchildren. 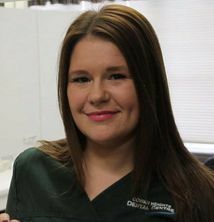 Sheena graduated from Keyin Tech College in 2010 and worked in Gander for 2 years before joining our practice in November 2012 as Dr. Lutz’s dental assistant. Sheena’s fun and good natured way makes her a great team member and a great fit with Dr. Lutz. She jumps in whenever she’s needed and is always willing to help in any way possible. We are very lucky to have her with us. When not at work, Sheena enjoys working out and spending time with her boyfriend Ewen and their dog Jace. Carolann graduated from Keyin Tech College in 2010 and worked in Gander before becoming Dr. King’s dental assistant in May 2014. Carolann’s quiet and easy way makes her patients always feel comfortable. She and Dr. King make a great team and do all they can to assist their patients in the best way possible. Carolann is a joy to work with and we are blessed to have her. In her free time, she plays volleyball and hangs out with her boyfriend Nicholas and their 2 Bengal kittens. Michelle graduated from Keyin Tech College in 2006 and started as Dr. Lutz’s dental assistant. She worked with Dr. Lutz until she left for maternity leave in the fall of 2012. We expected her to return the next year, but she decided to have another baby in the fall of 2013! We thought she was gone for sure then, but as luck should have it Michelle returned to work with us in December 2014 as Dr. Batten’s dental assistant. Michelle approaches her work with ease and has a wonderful ability to keep her patients calm. When not at work, Michelle enjoys running and fitness, but mostly loves spending time with her husband Ian and their 3 beautiful daughters! Candice, our newest dental assistant, graduated from Academy Canada in December 2016. She came to us on her work term and never left! Candice is a very hard worker and plays triple duty as our float for Dr. Batten, Dr. Lutz and Dr. King. She loves order, so you will always find her fixing or organizing something, and we love this about her! Candice is a wonderful team member; we’re glad she never left. The biggest love in her life is her family. When not at work, Candice is with her boyfriend and her 2 children.